As America’s largest magnesium, copper, and brass photoengraver, our overriding goal is complete customer satisfaction no matter the size or scope of your job. OWOSSO offers a full range of magnesium dies for foil stamping, debossing, letterpress printing plates, and custom applications. Magnesium dies can be used for a variety of different products, including everything from promotional products to annual reports, decals to rubber stamp masters, menu covers to automotive aftermarket, and ribbon awards to medical recovery devices. Several important factors combine to determine whether magnesium, copper or brass is right for your application. Choosing magnesium, when appropriate, can yield cost savings for your customers and speed up turnaround without sacrificing quality. Magnesium is best used on smaller areas with smoother papers, while copper is typically beneficial for larger areas, more heavily textured papers, and extra long runs. Please email engraver@owosso.com for the Die Price Estimator if you can not open the file. Please indicate which Die Price Estimator you would like emailed to you. What die is right for your needs? 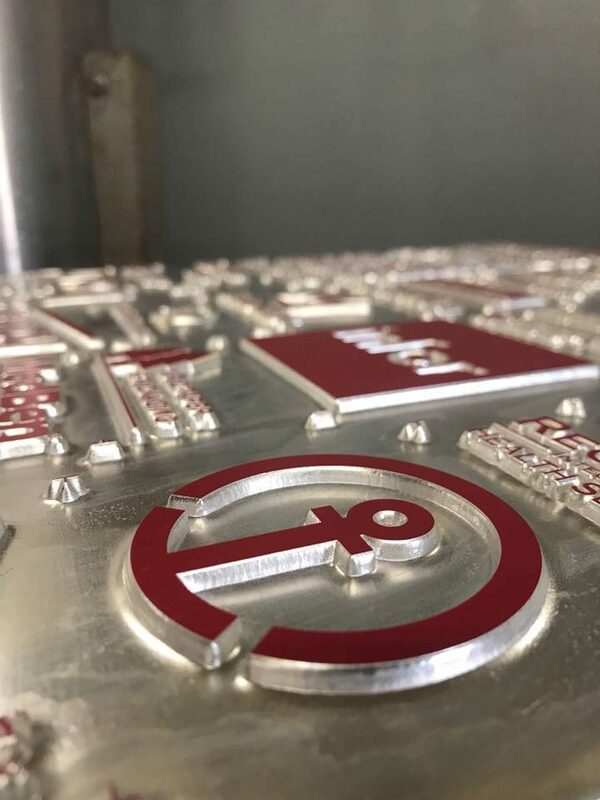 Get noticed with custom dies from OWOSSO.